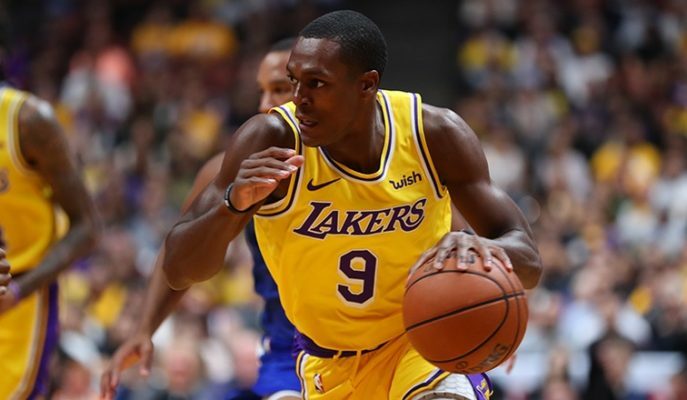 Los Angeles Lakers point guard Rajon Rondo returned from his broken right hand for just three games before opting to get surgery on the same hand, according to a Friday report. It’s an unfortunate bit of news for a Lakers team that has been bitten by the injury bug quite a few times so far this season. Rondo sat out of the 117-116 loss to the Sacramento Kings on Thursday night, but in the Lakers’ previous game against the Golden State Warriors, he proved just how valuable he can be. Rondo finished the game against the Warriors with 15 points, 10 assists, and five rebounds, and was instrumental in the win. In Rondo’s absence, second-year star Lonzo Ball will likely be tasked with the lion’s share of the point guard duties. That is perhaps the clearest silver lining of Rondo’s injury, as Ball will get more time to lead his teammates in what has, thus far, been a fairly successful season for the Lakers. In the end, it seems like electing to have surgery to fully repair the fracture is the right call for Rondo. Hopefully the surgery and subsequent rehabilitation go smoothly and he is able to return to full strength soon.